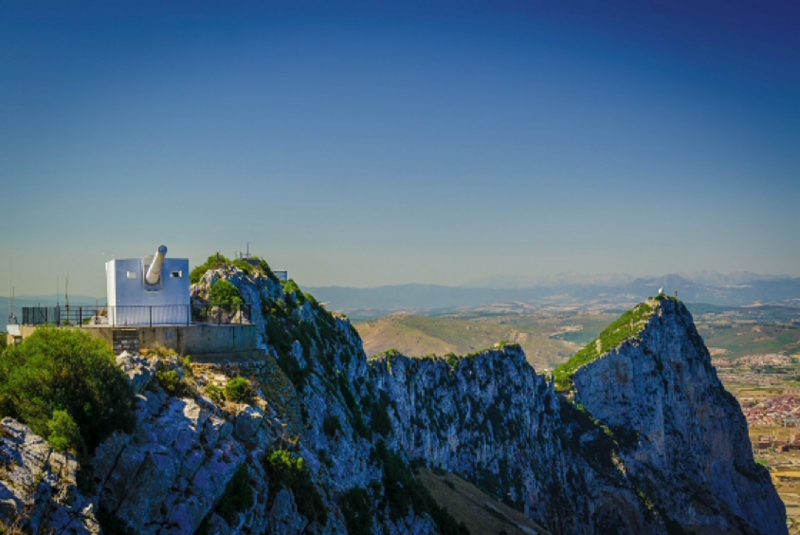 £5.00 – Walk the Gibraltar Nature Reserve, Upper Rock: ticket includes: Apes’ Den, City Under Siege Exhibition, Military Heritage Centre, O’Hara’s Battery, Skywalk, and Windsor Bridge; (excludes other attractions). 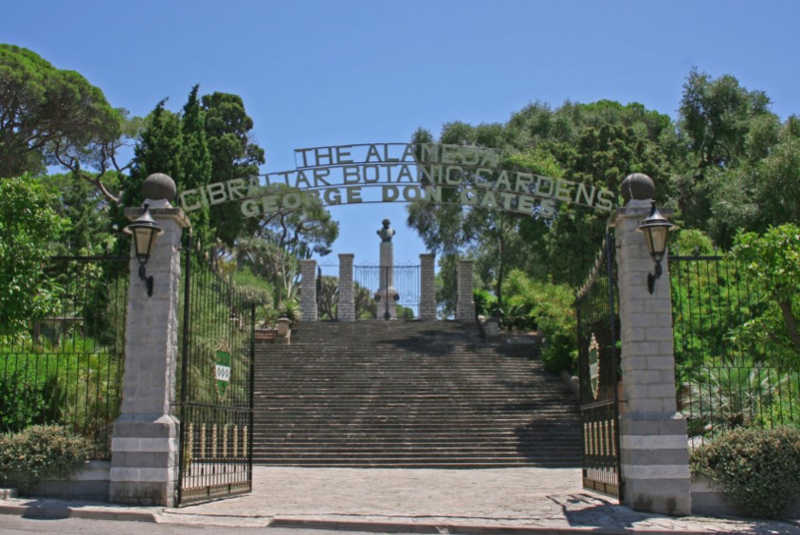 £12.00 adults / £7.00 children 5 – 7 The Gibraltar Nature Reserve, Upper Rock & attractions ticket: includes admission to all of the attractions above, plus, the Great Siege Tunnels , Moorish Castle, St. Michael’s Cave and 100 Ton Gun; (not located on the Upper Rock). The World War II Tunnels located within the Nature Reserve, carries an extra admission fee of £8.00 upon presentation of attractions ticket. 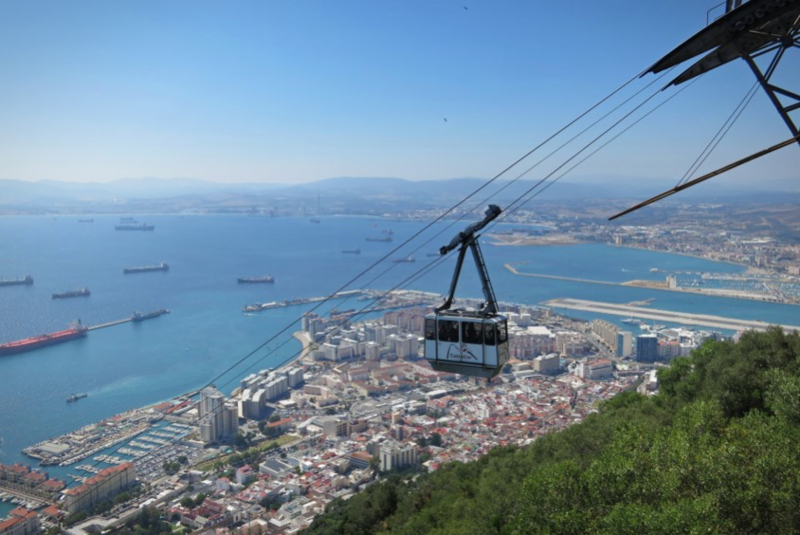 Tickets for the Nature Reserve and the Cable Car can be pre-booked HERE. 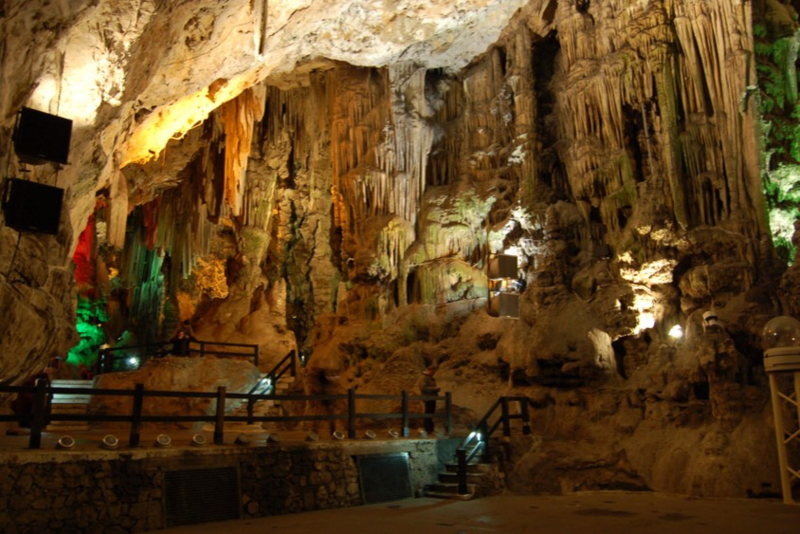 A natural cave in the heart of the Rock, St Michael’s Cave was long believed to be bottomless. 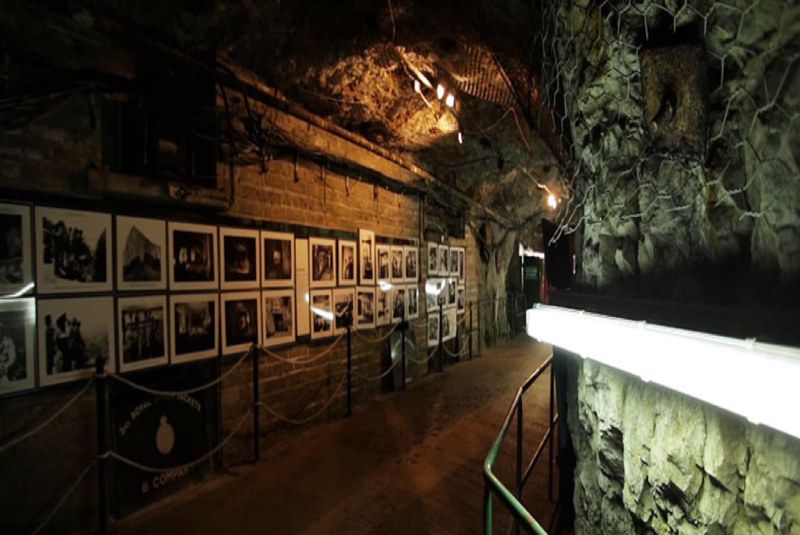 During WWII the cave was prepared as an emergency hospital, but was never used as such. The cave is open to visitors and makes a unique auditorium for concerts, ballet and drama. Admission included in the Upper Rock & Attractions Ticket: £12.00 adults / £7.00 children aged 5 – 7. 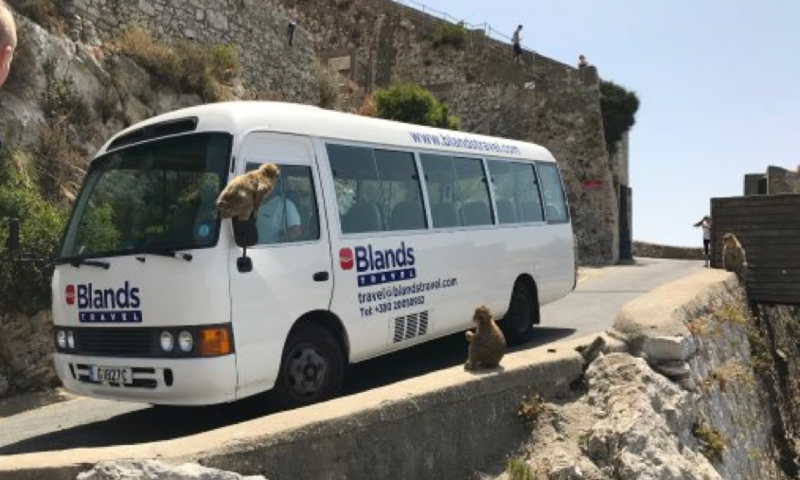 Perhaps Gibraltar’s most important tourist attraction, the Barbary Macaques in their natural habitat. This spectacular feat of engineering is 71 metres in length, across a 50-metre-deep gorge affording visitors magnificent views of across the strait, bay and city. Standing 340 metres directly above sea level, the Skywalk is located higher than the tallest point of London’s The Shard. 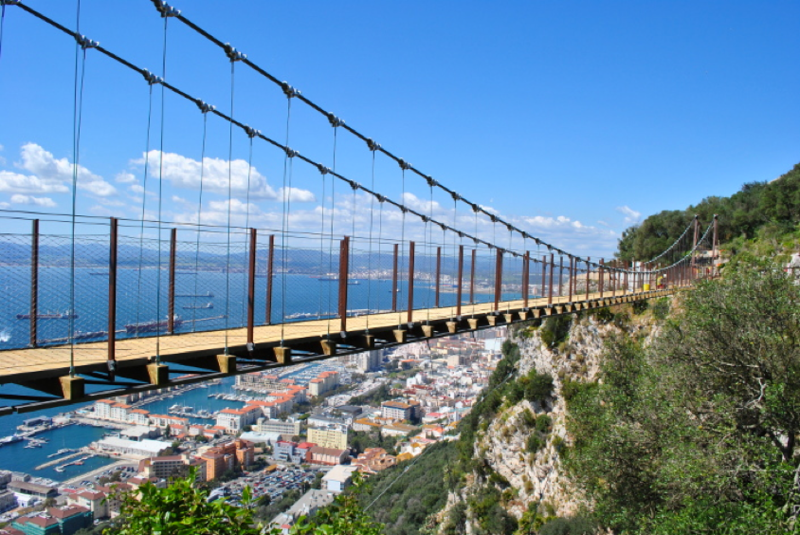 Gibraltar’s Skywalk offers breath-taking 360º views spanning three countries and two continents. Built on the foundations of an existing WWII base structure, the Skywalk is designed to withstand wind speeds of over 150km/hour and can carry the weight of 5 Asian elephants, or 340 people, standing on it at the same time (visitor numbers will be limited to 50 at any one time). Construction of the castle commenced in 8th century AD. 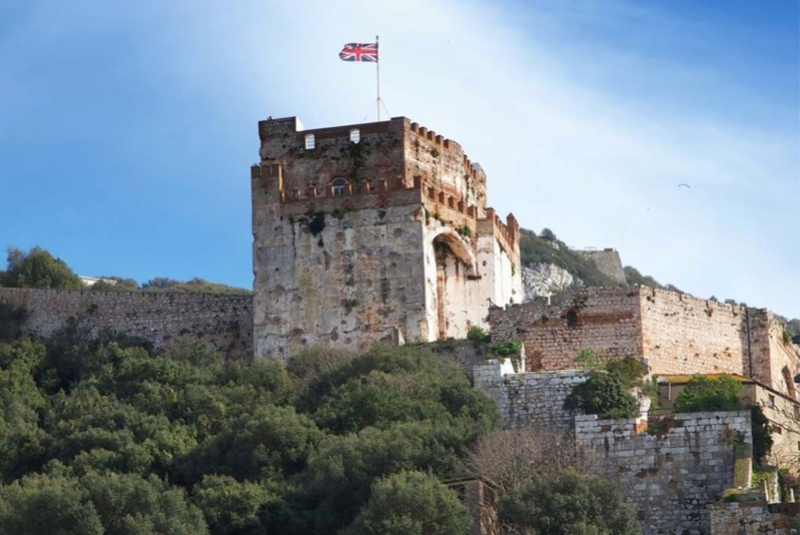 Most of the castle that is viable today was rebuilt during the second Moorish period of occupation in the early 14th century after its near destruction during the reconquest of Gibraltar by the Moors following the reoccupation by Spanish forces from 1309 – 1333. The Military Heritage Centre is housed at Princess Caroline’s Battery, a former artillery battery located at the northern end of the Gibraltar Nature Reserve, Upper Rock, above the Moorish Castle. It was constructed in 1732 and named after the third daughter of King George II. The battery saw action during the Great Siege of Gibraltar and required repairs. In 1871, the battery featured a 9-inch rifled muzzle loading gun, with an Elswick Ordnance Company carriage and platform. Princess Anne’s Battery is an artillery battery located on Willis’s Plateau at the northern end of the Upper Rock Nature Reserve, above Princess Caroline’s Battery. Named after Anne, Princess Royal and Princess of Orange, the eldest daughter of George II. 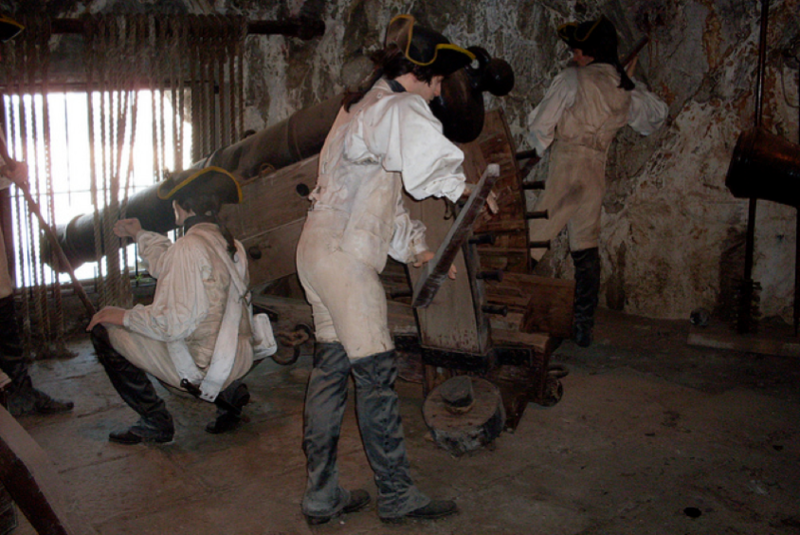 In 1732, guns were first mounted on the battery, which also saw action during the Great Siege of Gibraltar. 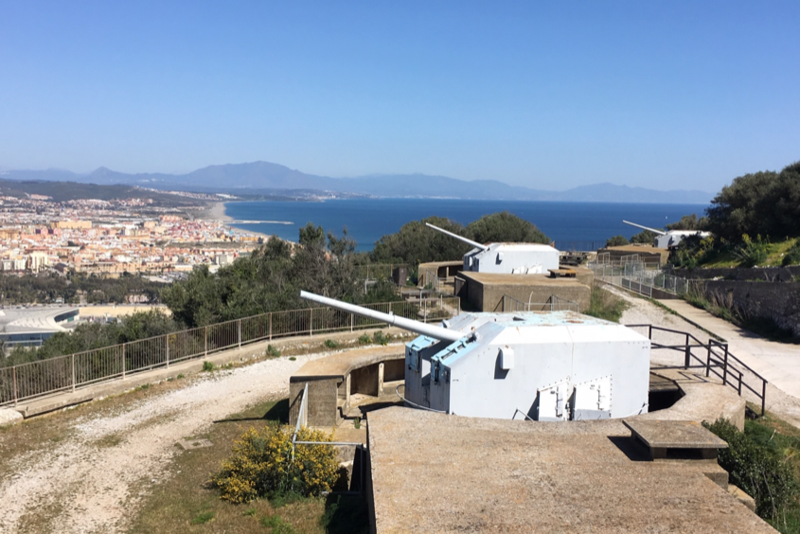 The Battery was updated in the nineteenth and twentieth centuries, with the latter modernisation entailing the installation of four QF 5.25 inch guns with both anti-aircraft and coastal defence capabilities. The battery was manned into the early 1980s, after which it was decommissioned. The guns were refurbished in the early twenty-first century, and represent the world’s only intact battery of 5.25 inch anti-aircraft guns. Princess Anne’s Battery is listed with the Gibraltar Heritage Trust. 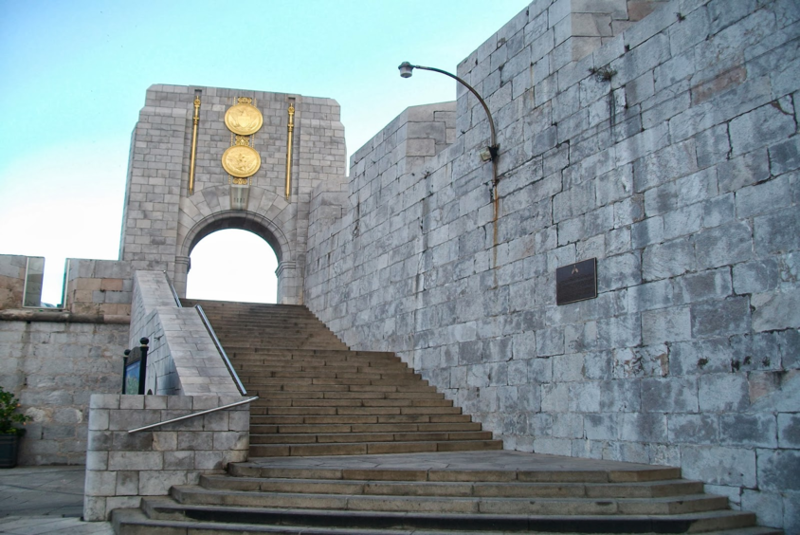 The Mediterranean Steps were built as part of the military communications system built by the British to allow access to their various defence posts at the southern end of the Rock. At the highest point of the steps are the two 9.2 inch guns of Lord Airey’s Battery and O’Hara’s Battery. 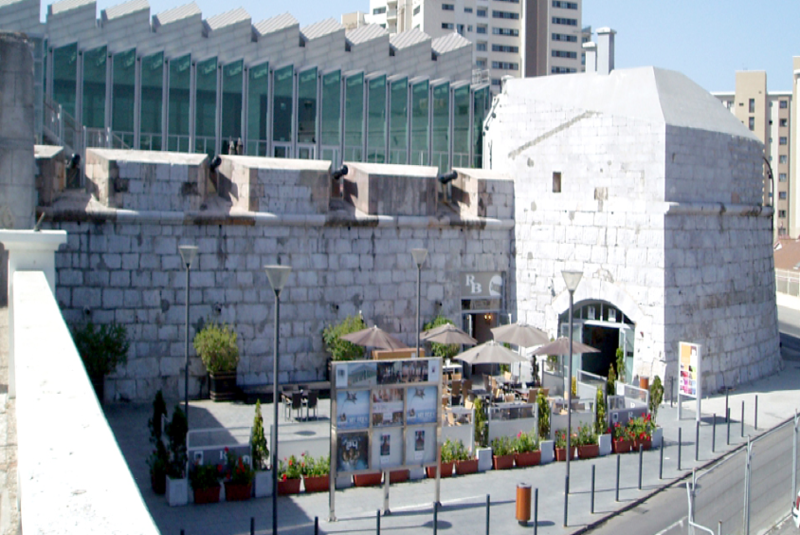 The buildings in which this exhibition is housed are probably amongst the first buildings ever constructed by the British in Gibraltar, thus dating back to the beginning of the 18th century. Graffiti, the earliest of which dates back to 1726, can still be seen on the walls. It is thought that soldiers mounting guard in the area spent their time drawing graffiti so as not to fall asleep during the long hours of duty, an offence which in those days was punishable by death. The tunnels were capable of accommodating the entire 16,000-strong garrison along with all the supplies, ammunition and equipment needed to withstand a prolonged siege. Within the tunnels there were also an underground telephone exchange, a power generating station, a water distillation plant, a hospital, a bakery, ammunition magazines and a vehicle maintenance workshop. The total length of the entire tunnel network inside the Rock is approximately 34 miles, 52 kilometres. Admission is an additional £8.00 upon presentation of an Upper Rock & Attractions Ticket. O’Hara’s Battery stands at the highest point of the Rock of Gibraltar. The views from the Cable Car’s Top Station, located 412m above sea level, are truly spectacular and it will take you only 6 minutes to get to the top. First opened to the public in 1816, pre-date the opening of the garden and thus are at least 200 years old. 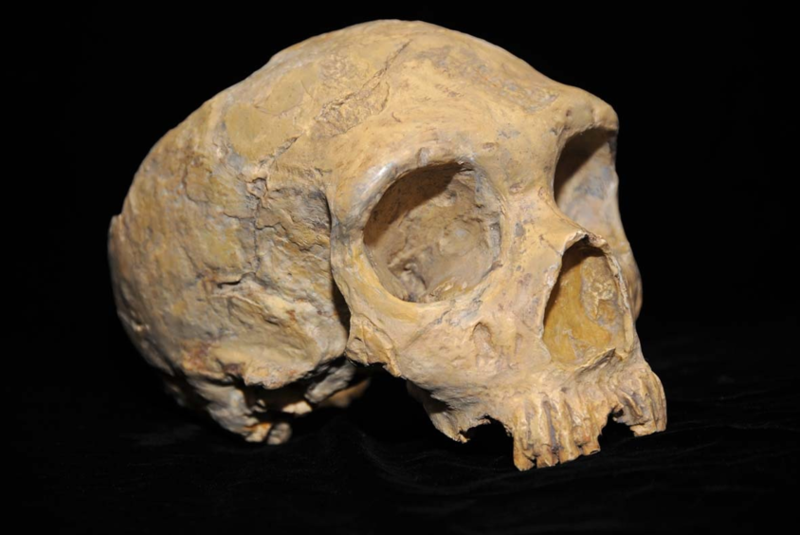 The Gorham’s Cave Complex is of major significance in understanding the global story of human evolution and adaptation. Located at the southern end of The Rock, this shrine was originally a mosque and converted into a chapel by the Christians in 1462. Dating back to 1841, the lighthouse is situated at one of the southernmost points of Europe and stands 49 metres above sea level. At the south end of Camp Bay beach is a very beautiful, but un-natural waterfall exiting the cliff. 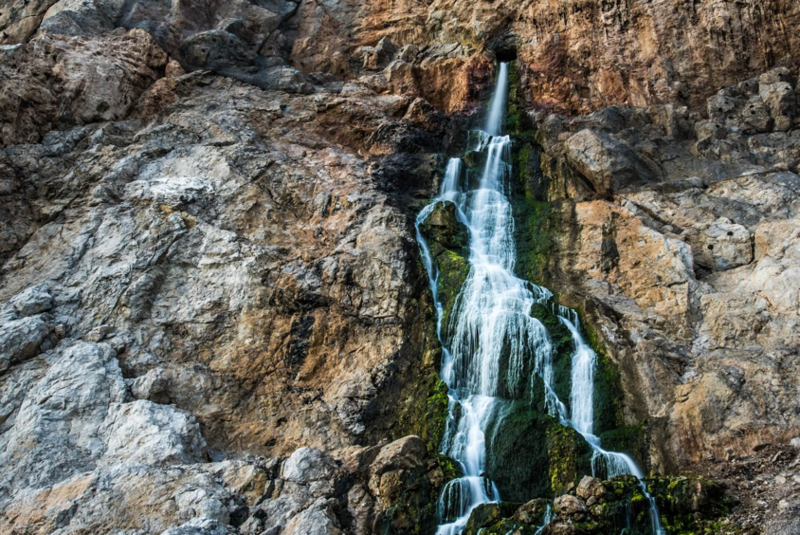 This cascade is salt water returning to the sea from a water desalination plant. Built in 1531, The Convent has been the official residence of the Governor of Gibraltar since 1728. It was originally a convent of Franciscan friars, hence its name. No. 6 Convent Place, colloquially known in Gibraltar as “Number 6”, is the headquarters of Her Majesty’s Government of Gibraltar and the office of the Chief Minister. 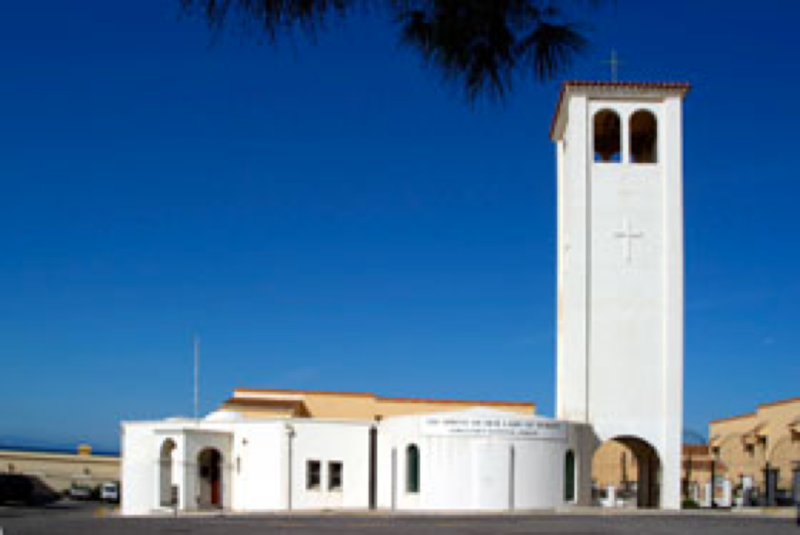 It is located opposite The Convent. 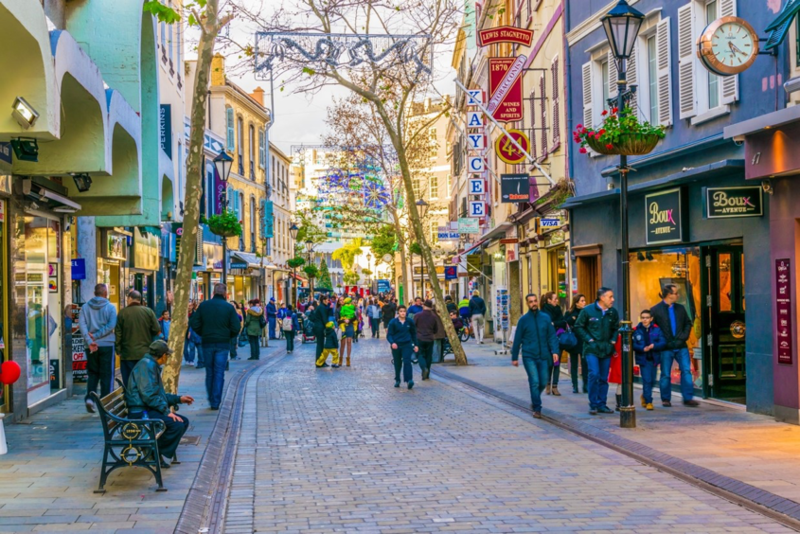 Although very busy, the shops, cafes, bars and restaurants make Casemates Square and Main Street a nice walk. Founded in 1930, the museum houses an array of cultural and natural history and objects dating back 127,000 year. The first floor Galleries (& toilet facilities) & the Moorish Baths in the basement are currently only accessible by stairs. 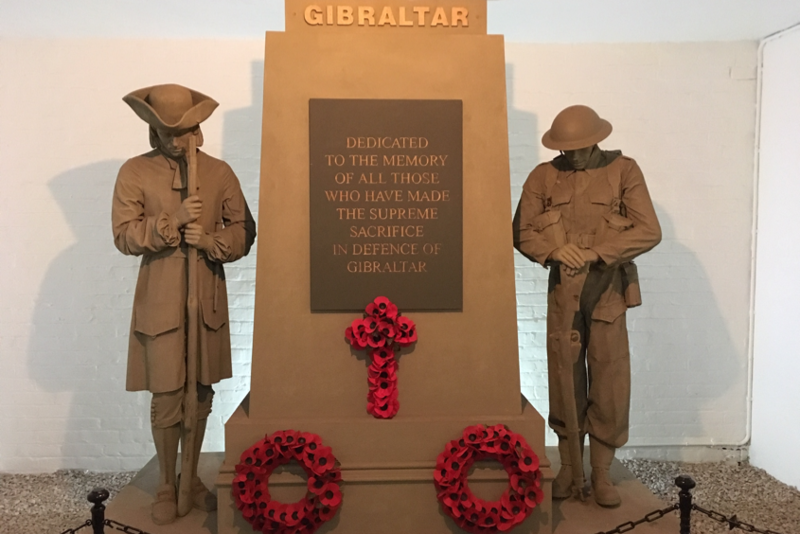 There are a number of memorials commemorating events in Gibraltar’s military history. The centre boasts a gym, cinema, ice rink, 14 lane bowling alley (plus 4 junior bowling lanes), amusement arcade, children’s play area, restaurants and bars. A key landmark in Gibraltar’s military history, commemorating the famous Anglo-French/Spanish Battle of Trafalgar fought off Cape Trafalgar in 1805. This impressive Victorian super-gun was installed on the Rock in the late nineteenth century. The only other remaining one is found in Malta. Situated on the site of a mosque, the Cathedral was badly damaged during the Great Siege; some of the early structure can still be seen. Soon after 1462 it was converted to a Roman Catholic Cathedral. Despite its deceptively Moorish appearance, the Cathedral of the Holy Trinity was not built until 1825. Among those buried here is General Sir George Don, under whose direction the cathedral was erected. Built in 1997, the Mosque at Europa Point caters for the Muslim population of Gibraltar, most of them originating from Morocco. The mosque may be visited at certain times of the day. In the 1840s a group of expatriate Scots began fundraising, which resulted in the opening of St Andrew’s Church on May 30th 1854. Jews’ Gate Cemetery located within the Upper Rock Nature Reserve. The cemetery opened by 1746 and closed in 1848. It is the site of the earliest known Jewish burials in Gibraltar and the burial site of a number of Gibraltar’s Chief Rabbis. Dedicated to General Wladyslaw Sikorki, Commander-in-Chief of the Polish Army & Prime Minister of Poland in exile who was killed in an air crash on 4 July 1943. The memorial relocated to Europa Point, close to the Lighthouse and Harding’s Battery. This handsome building was inaugurated in 1793 and houses a remarkable collection of works on Gibraltar. There are weekly tours of the Library where you can discover its treasures. A church beside The Convent where, beneath the colours of several British regiments, lie the remains of the wife of a Spanish Governor, together with other remains of British Governors. Visit the dolphins in their natural environment in the Bay of Gibraltar. Boat tours depart from Marina Bay/Ocean Village. Visit the Upper Rock attractions with a personal guide in the comfort of a taxi. 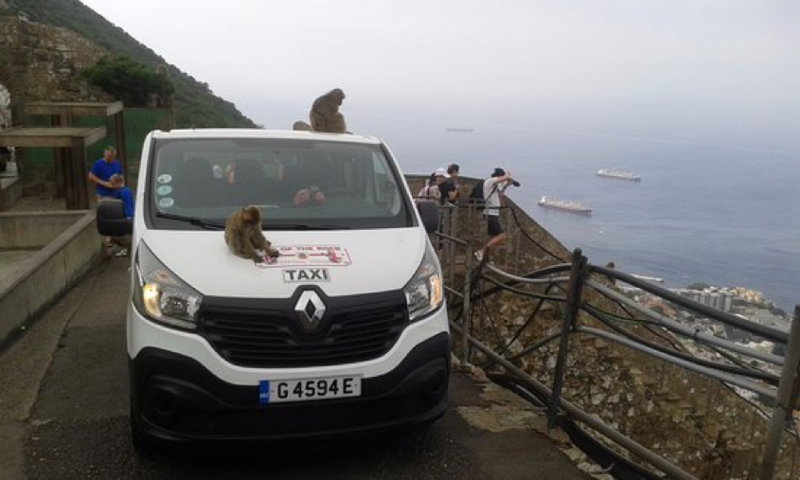 For information on bookings please contact the Gibraltar Taxi Association or Gibraltar Rock Tours. Book an excursion with a local tour operator prior to visiting the Rock or if you are staying in a local hotel. Travelling around on public transport – information about routes and prices: www.gibraltarbuscompany.gi.